Sitting here on a rainy November Monday evening and thinking about booking our next summer family holiday. I keep going back to the idea of taking the kids to Ibiza. I lived on the White Island for 2 years, but I’ve never been back since I left 5 years ago. So I’m thinking, it’s about time. 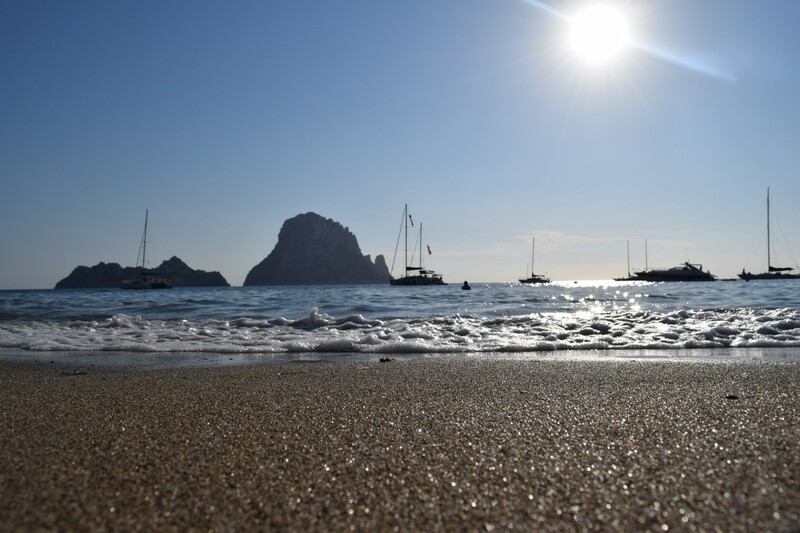 My husband has never been there, it would be great fun to rediscover Ibiza together. The children would love it. 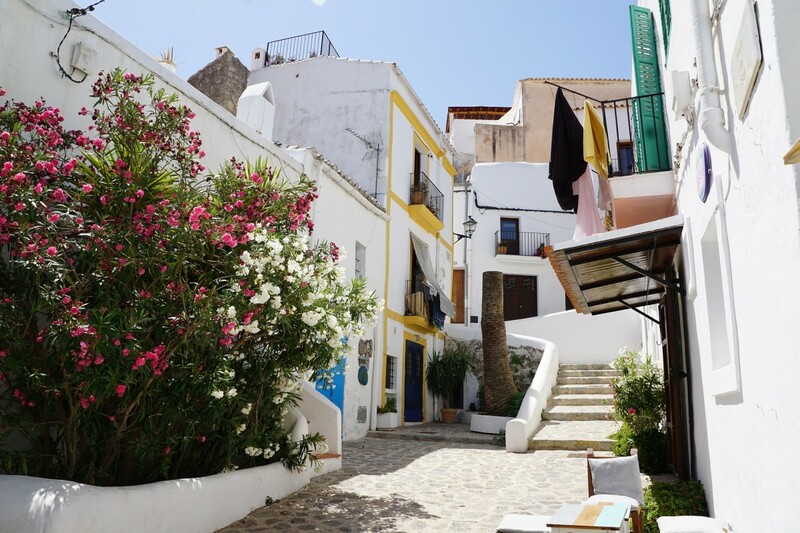 Ibiza is often degraded as a party island, but it’s so much more than that. 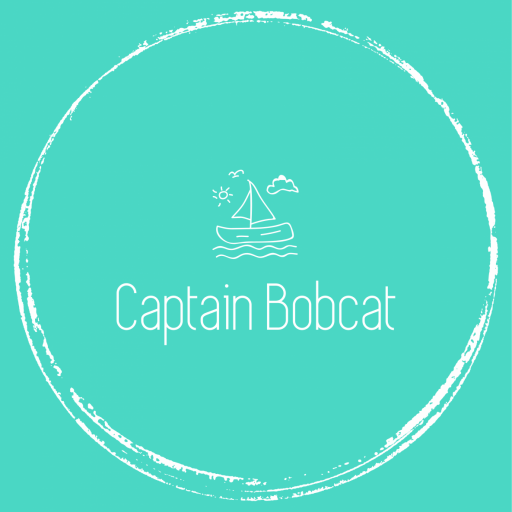 There’s so many interesting and fun places to visit, all the hippie culture is still blooming, and of course the beautiful, crystal clear, shallow water at the beaches. As browsing around for good deals, I stumbled upon Holiday Gems with some Ibiza offers. Maybe that’s a sign and I should just go ahead and book! Ibiza’s beaches are perfect for children. Most of them are located in a protected bay or a cove with wonderful, and they have soft, golden sand and shallow water. The bigger ones are always have life guards on site in the summer months. 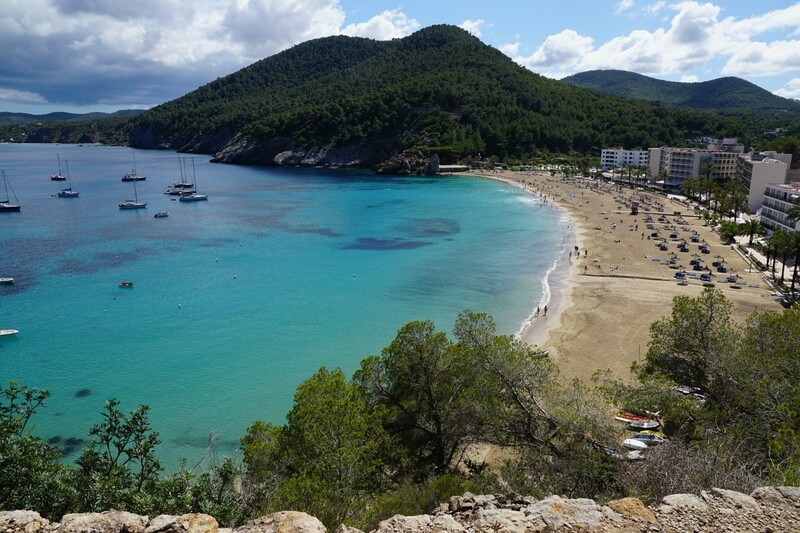 Located near Santa Eularia, this small bay is heaven on earth. Shallow and turquoise water, there’s a fancy beach bar and a authentic Spanish restaurant (try the pasta with prawns and chilli!) to eat. Parasols and sun loungers are available for a daily fee. Surrounded by pine trees and there’s also a big supermarket in about 3 minutes drive. This is the city beach of Santa Eularia, and it can get busy on the summer weekends. it has got all the facilities you need: showers, toilets, beach bars, restaurants, surf rental and more. Yet, a very child friendly beach and its water is clean. Very close to hotels and right on the promenade. There is a life saver on duty and you can rent sun loungers. This is a large beach on the south side of the island, but a quiet one at the same time. Never too busy and it’s close to some family resorts. The sandy beach is really strechy, good for the children to play. There is a small beach bar and surf rental availability in the summer months as well as sun loungers to rent. It’s a large beach located on the North-East and the close to the lovely promenade of the town, family friendly hotels and restaurants. Not too touristy, but it can be busy. It’s got everything from life guards to public toilets. It’s very pretty, surrounded by hills and pine forests. Still on the North. It’s got crystal clear water and grainy sand. Surrounded by pine forests and rocky hills, it’s a beautiful beach with large sandy surface where the kids can play. There’s some lovely beach bars and restaurants nearby. All sorts of beach facilities are available here too. Located on the South-East, this is a small sandy bay protected by a cove. It’s normally busy on the weekends as the locals like it too. The water is very shallow and lovely warm in the summer months. You can rent water bikes and sun loungers. There is a traditional beach bar with mainly Spanish tapas. A medium sized beach near San Antonio, with all the necessary facilities. It’s normally quiet and no party goers stray this far from San Antonio. There are a few hotels nearby suitable for families. This a great small rocks surrounded little beach, which makes it great to explore the underwater world by snorkelling. You can find more about San Antonio here, if interested. 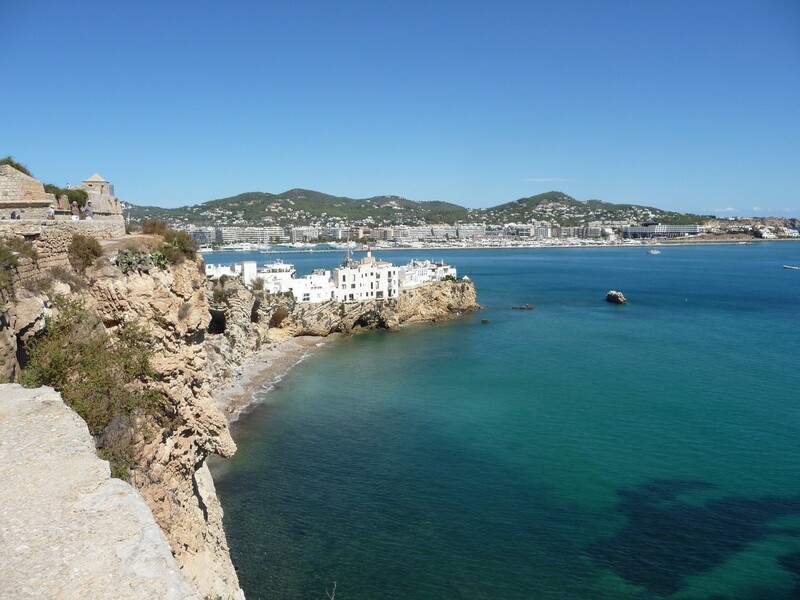 Find it near San Josep de sa Talaia, it’s a charming, enclosed medium beach. It’s beautiful, with crystal clear and shallow water surrounded with a variety of natural scenery. Ideal for small children. Perfect place to watch the sunset. And finally a big family friendly beach in near Santa Eularia. Lots of restaurants, beach bars and hotels around and it’s got everything from surf rental to beach shops. The sandy beach is really strechy and the water is very shallow – perfect for the little ones. what stunning beaches. I’ve never been to Ibiza before, I’ve heard its amazing for families and its not just clubbing! Well it’s a happy place of mine!